Re: "2032, you'll be eighty" (04/05/09 11:03:51) Here is the last farewell email i sent to +F, last week. want to share it with all of you, in this sad moment. I would like to find the right words to tell you what I feel, to tell you about the many great moments i had with your words and with you. You are one of the greatest teachers I met in my life. I wish we could have had more time together. I wish we could have made that trip together in your boat. I will teach to whoever smart person I meet something of what I received from you. This is my promise. I am already doing it, and I will do it forever. It is nice for me now to listen to this, thinking to you. You had short time, but produced great meaning, great memories, great talent, great findings. Your lessons are forever. Many learned and many more will learn. Here is an image that you brought to my attention. Found it many years ago, while looking for you. 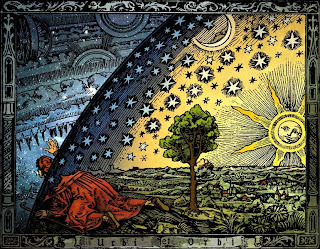 This image is taken from a wooden carving, probably made by Camille Flammarion. I like the powerful metaphora in the drawing. Man dares to reach out of the sky itself. I like to associate this image to you, Fravia, and to your ideas: Teacher, Reverser, and Master Seeker. You also are a great Finder, and you found a huge amount of things in your Life. You discovered treasures, you built knowledge, with endless hours of clever study, passion, patience, and enthusiasm. You built a great Family, a greater community. You will be missed. Both from people who loved you and even from people you never met, learners from the knowledge you were offering. Universe will miss you, but you will not disappear. You will remain inside our memories, you will speak with your written words, and your lessons will last for a veery long time. Because your ideas do not have a release number. They just do not fade. Do not decay. One of your greatest virtues, to me, lies in your capacity in bridging gaps. You always push others to learn with their own brain. This is something so socratic, so clever and simple. I applied these ideas. It is not easy. But sometime works, if you are lucky enough to find receptive minds. You also were bridging the gap between literature and science. I could define you as a literate, a language and literature expert, but you have also that great and rare and peculiar talent: scientific attitude, curiosity, desire to decode, understand, and get deep into things. Life is tricky. It is hard. Has no replies to why_me questions. Life is often mute tragedy, silent death. But Life builds order out of disorder. Improves and evolves, produces better chances. Grows. Maybe life has no meaning per-se, but it is important for us to put meaning into it. You did your part, and gave a great contribute. Lots of metaphoras and lots of meaning in this image too. I keep it as my desktop background. Some years ago. I was in South Africa, Krueger Park. After a week there I was feeling a very peculiar intimate contact with nature. and saw the resting lions feeding their cubs after the kill. from the beginning of time? of Life poured into Life? of Good and Bad dancing together. give back their proteins in the end. bring home a single leaf. Make them hatch inside your heart. and give back your words to the wind. We all give back our proteins, in the end. And our ideas are recycled too. We give and leave all our findings to the ones who will carry on. Be careful, in that other galaxy. You will seek and find, forever. You will meet great minds, and your spirit will guide many. It was a true honor to have met you. I am proud. Be proud of you. You have done great. I will miss you and never forget your lessons. Have my strongest and warmest hug. "We will meet again, when we are as golden clouds on the wind." In every end lies a greater beginning. lets build a better world. Re: somewhere (04/05/09 20:22:31) Each of us has nice memories of him. And it is nice to feel together, dear Forseti, not knowing each other, in some deeply underground ways. It is nice to be human, here and now, sharing the same emptiness. It is sad, but it is good for the mind, and for whatever soul there is. Travelers, we are. In time, codes, memories, secret gazes, reality and dreams. We like to thing we are so different from others, and we are indeed. We need to teach. World needs it. Among us we are alike, probably closer than we think. We need to share more, open a bit, because many of us are too closed and avulse to relations. We need to be proud and we need to share. Sometimes we need to grow up, to change and improve. We need to build, improve, adapt and create. It is fascinating to seek, reverse and deconstruct, but there is a lot of fun in building, creating, and sharing. Medieval monks were the most sophisticated deconstructors, keen researchers and replicators of knowledge, long term storage managers. Backup operators ante litteram. Fravia loved their approach, and some glimpses of his vision we probably share. Science analyzes, thinks, build models and theories, then produces knowledge progress, and rebuilds a better reality. 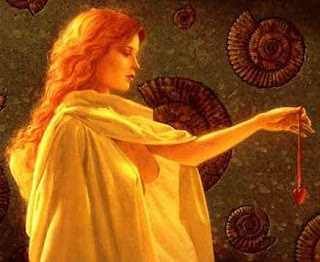 Seekers we are, yes, but Finders and Builders we also need to be. He was proud of us. He was proud of his job and of his community. He loved us all, and gave to each hints and suggestion to improve. He changed all our lives. For sure. Planted many trees. Lets look at the sky, this night. And send to our +Friend a final farewell and a smile. Lets do it Together, from each part of the world. I have not been around for a long time. I had checked the site a few months ago and thought fravia was getting better. How time goes. I remember finding fravia's site way back when on compuserve. Initially what fravia's site taught be, was just "technical" skills. But then i realized that it is more of a "mindset" something that can be applied to anywhere. I never met fravia. Infact I never even talked to him even on the net. But his legacy lives in me and i think everyone here. A lot of my success ironically can contributed to fravia. My failures are my own fault :) I think that anyone who ever "read" fravia's site was affected.